>If someone calls your idea “crazy” then you are onto something. If they declare you “insane” then you are moving in the right direction. And if they “write you off” then you are half way there to achieving your goals and successes. Whether you agree or not, but history shows that almost all great men (and women) were declared “crazy”, “insane” and were “written off” while they were in the midst of their greatest adventure. Einstein’s theory of relativity was not only controversial but was deemed “crazy” at the time of its publishing. Thomas Edison first phonograph was considered an “insane” idea. New York times wrote off Goddard, the father of rocket science, as someone who had an insane idea of going to the moon using some crazy rockets. The list goes on and on. Steve Jobs defied the naysayers with his “insanely great” products for the past thirty years. Google was advised to let Yahoo acquire them as the search market was already saturated and their product would never take off. Ebay was considered a wacky and unprofitable idea when it was originally launched in 1995. In my personal life, I have been advised dozens of times that my ideas are unsound and I cannot make money and am crazy to attempt them. But each time, I have ignored the naysayers and then gone ahead and done something that I always wanted. And, by Grace of God, succeeded each time. In 2001, I was told that it was crazy to expect Pakistanis to use the internet to do recruitment and job search. But we believed that such a market not only existed but will be the only way recruitment will be done in Pakistan. We launched, BrightSpyre, Pakistan’s first online Job Search portal. Within two years, we were the first Pakistani company to be profitable from online business and were also the first to register 100,000 unique users online. Today, BrightSpyre has over half a million unique users and receives millions of job applications annually. Our model is copied and replicated by numerous copycat job sites in Pakistan and who owe their existence to BrightSpyre as we created the original market. In 2004, when we decided to build a rural Tele-health network in Pakistan, we were told once again by all our peers and friends that it will not work and such an idea is outright crazy. Today, under UM Healthcare Trust, we run probably the only sustainable tele-health project in the country. Our services are available at near zero cost to the poor and needy in rural Mardan. Once again, we defied the odds to achieve our goals. I was also recently advised that my healthcare facility will not be successful and no one will ever use it. Today, we treat over 3,000 patients/month in rural Mardan and yes, we are probably the most successful rural clinic in the whole district of Mardan with a population exceeding 1.6 million people. Now, we are planning to take this project national and expand to other districts of the country. In 2006, when we launched our international office in United States, we were told, no Pakistani company has ever been successful abroad without seeking investment and partners. We defied the odds and today, as a Pakistani startup we have customers in four continents with thousands of recruiters worldwide using our system to find the best talent. All this time, I am told that there are no successful startups which do not have some source of financing. I remind them that none of my enterprises ever raised funds. We generated our revenues from our own products and services. We are profitable without the need to raise funds. So my advice to all entrepreneurs out there. Never say Never. Do not listen to nay sayers. Believe in yourself and in your idea and just do it. The rest will be history. Pakistan’s IT Industry was stagnant till the beginning of this decade. A meager sum of US$22 million was being brought in as export revenue up till 2002 in Pakistan. An IT enterprise with more than 50 employees was generally considered one of the bigger software houses in the country. A survey in 2004 by PSEB (Pakistan Software Export Board) indicated there were only a handful of companies with over 100 employees. To make matters worse, a software house formed in the 1990s or earlier would probably not survive its first five years and would most likely close its operations. However, this past four years has brought about a big change. Since 2004 we are witnessing a phenomenal success and very high growth rate (averaging 50% growth rate annually) for the IT industry in Pakistan. Not only are the companies able to survive longer but are thriving in the national and international markets. And some of them have truly become great success stories worldwide. I have been associated with the Pakistani IT industry since the mid 1990s when I decided to settle back in Pakistan from the USA. One of the biggest and probably the best change that I have witnessed in Pakistan in recent years has been the emphasis on developing indigenous products and intellectual property rather than just being a typical offshore software house that offers competitive rates as compared to the shop next door. Dozens of local enterprises are not only building some really exciting products here but are also creating waves in the international market. And yes, quite a few are getting funded as well from Venture Capitalists as far away as the Silicon Valley. We even have numerous tech blogs to cover them as well including the popular Green & White that I reviewed earlier this year. So if you want to find out more about the startups and the products in the market check them out. PASHA (Pakistan Software Houses Association) estimates that today Pakistan’s IT industry is worth over 2 billion dollars. PSEB just came out with numbers that shows that the exports of IT related services and products are now over 170 million dollars (as reported by State Bank of Pakistan). By 2013 it is estimated to grow beyond 1 billion dollars. There are over 1,100 companies registered with the PSEB and over 100,000 people are employed by the industry. The biggest companies now boast a workforce of over 1,000 employees or thereabout. That’s a remarkable change from just a few years back when the biggest could hardly muster 100 employees. For more details about the IT industry and the PASHA survey, check out their website. This is definitely a very exciting time for the IT industry in Pakistan. And also the best time to invest in a startup in Pakistan. I too left the cozy life of a salaried employee and became an entrepreneur in 2001 to co-found Cogilent Solutions that launched Pakistan’s first job hunt portal, BrightSpyre. Today it boasts over half a million job seekers from across the country and page views in many millions. It is still growing and will probably cross a million unique job seekers before any other job portal in Pakistan sometime soon. Once again PASHA and BrightSpyre have collaborated together to host yet another extremely successful job fair in Rawalpindi, Pakistan. 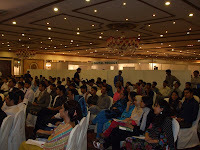 This time thousands of potential job seekers streamed through the door of Pearl Continental Hotel in Rawalpindi. The traffic flow, was surprisingly, well managed and everything seemed well ordered and not once anyone felt that it was a “fish market”. The event also featured numerous focused sessions as well for the benefit of job seekers. This included such important and critical sessions as Resume Writing, Presentation S kills, Hiring Fresh Graduates from an employer’s perspective. And last but not the least was the Startup Insiders Session which was attended by over 150 eager youngsters. There were numerous questions asked by young minds who wanted to make the leap from salaried life to unpredictable world of entrepreneurship. The questions were very extremely good and thought provoking. This was the 4th such session in Islamabad/Rawalpindi and 10th in the series so far. And yet, the interest of the individuals and the content of the sessions just gets better and better. It is definitely a must attend event for every budding entrepreneur in Pakistan. I met quite a lot of interesting people during the event, as this was a great event for networking as well. I was also impressed by the dedication of the student Ambassadors from the local Universities who worked tirelessly all day to make sure everything goes as planned. BrightSpyre (one of the company’s that I have co-founded) team also pulled off a great show in collaboration with PASHA. Thank you guys for doing all the hard work and putting together a great event! Thank you PASHA and Jehan Ara for organizing this event in Rawalpindi. Such events are critical to the growth of the nascent Pakistan’s IT industry. Currently, there are over 1,000 such companies registered with Pakistan Software Export Board with a total market size of US$2 billion and a phenomenal growth rate of 50% annually (source PASHA). 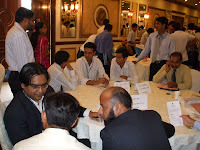 BrightSpyre, which is currently the biggest job portal in Pakistan and boasting over half a million unique registered job seekers, also played a critical role of inviting the right mix of job seekers to the event. It was pleasing to see Bearing Point, Cisco, Scrybe, Ultimus and many other enterprises (seeking job seekers) happy and satisfied with the quality of the candidates at the event. Here is a link to the photostream on flickr of this event. Yes, the 10th edition of Startup Insiders is going to be held this Saturday in Pearl Continental, Rawalpindi. It is hosted by PASHA in collaboration with BrightSpyre. This is an ideal platform for entrepreneurs and young startups to meet and collaborate. I encourage all to come and attend this session. I will be there as well. 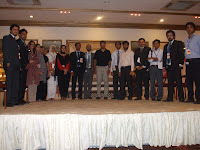 The event will be held during the PASHA career expo at Pearl Continental, Rawalpindi on August 2, 2008. Please visit the event website at for more information. PASHA in collaboration with BrightSpyre will be organizing the Startup Insiders in Islamabad on August 2. This is the 9th such session in the series that have been organized this year. This is an ideal platform for entrepreneurs and young startups to meet and collaborate. I encourage all to come and attend this session. 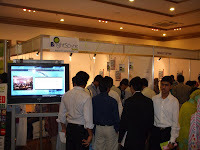 The event will be held during the PASHA career expo at Pearl Continental, Rawalpindi on August 2, 2008. This 4th of April will be the 8th edition of the Startup Insider Session and 3rd in its series in Islamabad. This brain child of Osama Hashmi (greenwhite.org) in collaboration of PASHA has become the biggest IT social happening of the year. Already the past seven events have attracted sizeable crowds of over 100 people per session. And this time round, it is hoped will be no different. What is amazing to see the amount of talent out there that is making it happen for the IT industry in Pakistan with little or not support from the government and/or local sources of funding. Most of these startups are a great success not only locally but internationally as well. What is also amazing is to see such a huge turnout and interest shown by budding entrepreneurs and students. Maybe, one of these sessions will produce the next generation of Pakistani entrepreneurs that will make us all proud.